Before you start considering the best honeymoon places available, you have to determine your maximum budget for the entire trip. This will include not only your all-inclusive resort stay or other accommodations but also your airfare or other transportation costs. You should also consider the cost of food, drinks, shopping excursions, and extra activities that you add once you get to your travel destination. Once you set your maximum budget, try to book a trip that costs a bit less than that amount. You never know when extra fees or taxes are going to come into play, and you don’t want to end up over your budget when an unexpected expense hits. Plus, you don’t want to go on your honeymoon so strapped for cash that you can’t buy your new spouse something special or go out for an extra night of drinks in an exotic location. State parks and other campsites. 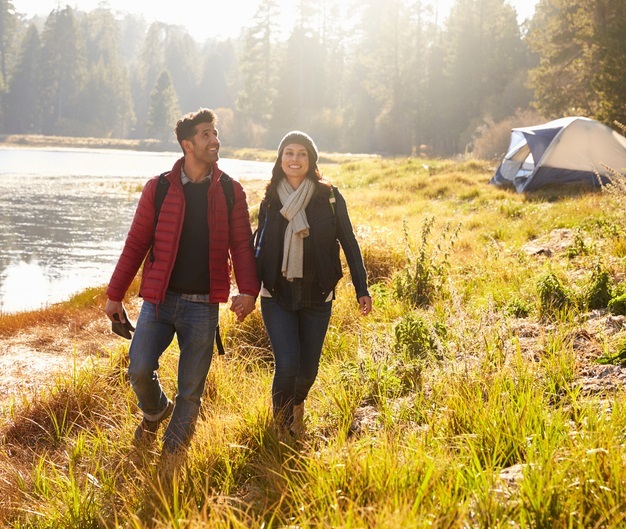 If you’re willing to live in a tent or remote cabin rather than an expensive hotel, you can enjoy a variety of outdoor activities like swimming, fishing, hiking, mountain biking, and roasting s’mores over an open fire. Local casinos. You don’t have to live close to Las Vegas to enjoy a honeymoon to a large hotel with an on-site casino. This also means live shows, cheap buffets, and a variety of other entertainment options. If you live in North Carolina, consider a visit to Cherokee. Many other states have their casino towns as well. Amusement parks. A large park is often surrounded by large hotels with resort-style amenities. If you can get to one of these hotels without excessive travel, then you can stay in a nice room with a Jacuzzi tub and spend your honeymoon budget on nice dinners and affordable attractions in the nearby area. If you don’t necessarily need to limit or eliminate airfare or a longer road trip, look into honeymoon cruises and resorts that offer all-inclusive packages. You can often find resort deals starting around $500 per person for a short trip, and some cruise lines will offer discount rates for select trips as well. What’s great about these travel arrangements is that your expenses are included in the upfront fee. While you’ll still need some pocket money, you won’t have to worry about as many unexpected fees or prices that are much higher than you planned. All of these honeymoon destinations require minimal travel, but they also feature high-class resorts and other accommodations that fit the needs of newlyweds in search of romance and excitement. A Costa Rican vacation can feel like a trip to the Caribbean, but the area is far less expensive than Caribbean destinations. Mexico has some luxurious spots with beautiful views and relaxing accommodations, but the prices are more affordable than other destinations outside of the U.S.